Written by Sheikh Jaffer Ladak. 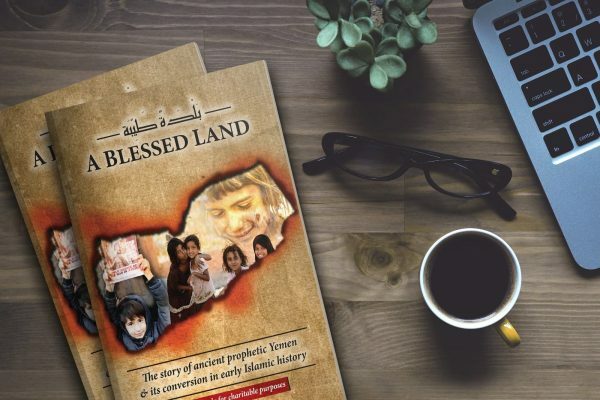 A Blessed Land addresses ‘the world’s most urgent humanitarian crisis’ in Yemen, ravaged by more than three years of war. Based on a thorough study of Islamic sources, it seeks to portray the significance and role of Yemen in early Islamic History. Money raised from the sale of this book will go towards WF AID’s Yemen emergency appeal, to provide much needed relief as the country faces the worst famine in 100 years. Journeying through Yemen’s civilisation, it begins with the stories of ancient prophets and lessons derived from the events, as discussed in the holy Qur’an. Its focus is on Yemen’s conversion story at the time of the Prophet Muhammad (s), the great companions that hail from the region and its proximity to Caliph Ali ibn Abu Talib (a) during the era of his leadership. 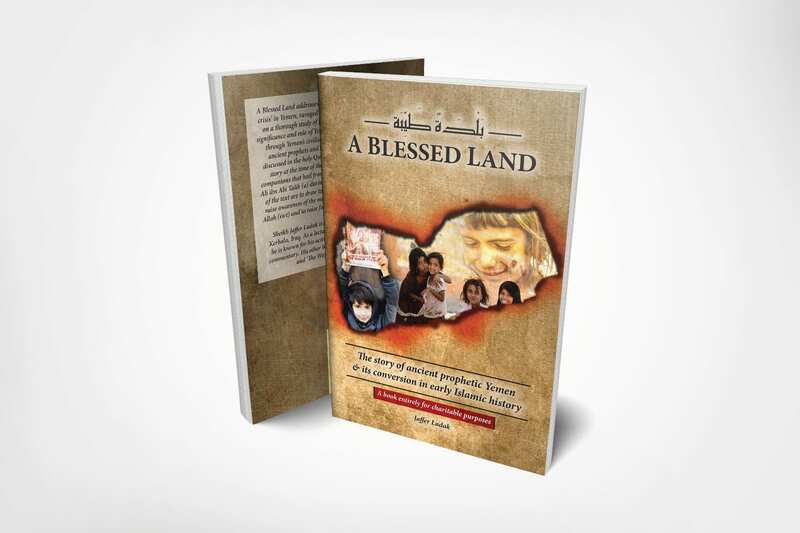 The purposes of the text are to draw together the story of Yemen in one book, raise awareness of the merits of this ‘Blessed Land’ as named by Allah (swt) and to raise funds for the relief of the needy in Yemen. Sheikh Jaffer Ladak is a student of the Islamic Seminary in Karbala, Iraq. As a lecturer on contemporary Islamic sciences, he is known for his activism, Islamic revivalism and political commentary. 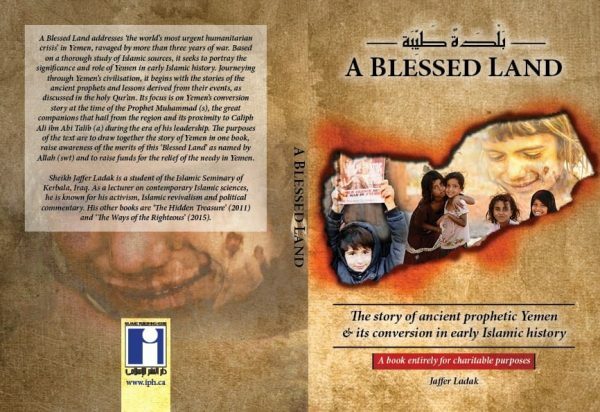 “Sheikh Jaffer Ladak has spilled history onto the pages of this wonderfully written book on Yemen. Having come from Yemen myself, travelled through it from South to North and most of its in between(s), I have come to love this country from the bottom of my heart and have known that it has an amazingly rich history, I just had no idea it had this rich a history. “A Land Most Goodly” is so beautifully descriptive, so organised in its timelines and so eloquently written that it takes one onto a vivid journey through this beautiful country, once paved with cobbled streets and old forts, now destroyed by the war. I urge you to read this work, to see what Yemen was, what it has gone through to become what it became, and what it has finally become, to get lost in its pages, then to finally close the book with the knowledge that Yemen is steeped in rich histories, cultures, traditions, and religions. That it still is, despite the war, full of humble, hospitable and happy people, as they have come to be known over the years in the Arab region, “The Happy Yemen”.